Chakka curry is a traditional Kerala dish made with semi-ripe jackfruit. Chilli powder - 1/8 tsp. 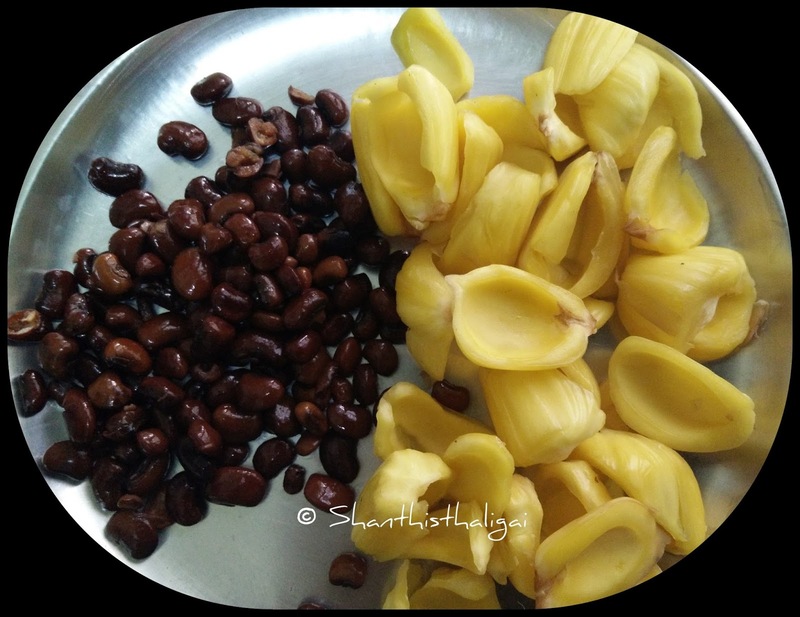 NOTE: Jackfruit for chakka curry should be firm and semi-ripe. The semi-ripe chulais have sour and sweet taste which gives the flavour to the curry. Soak cowpeas for an hour. Pressure cook with little salt until soft. Drain water completely and keep aside. Heat coconut oil in a kadai and roast urad dhal and chilli until golden brown. Grind along with cumin seeds and grated coconut to a smooth paste. Take out the seeds from jackfruit, clean well and chop to pieces. Cook in little water along with salt, turmeric powder and chilli powder. When 3/4th done, add cooked cow peas, and allow it to cook for 5 minutes. Now add the ground paste, add little water to get the desired consistency, mix well and cook for 2 or 3 minutes in low flame. Temper the given ingredients and pour over the curry. Mix well. 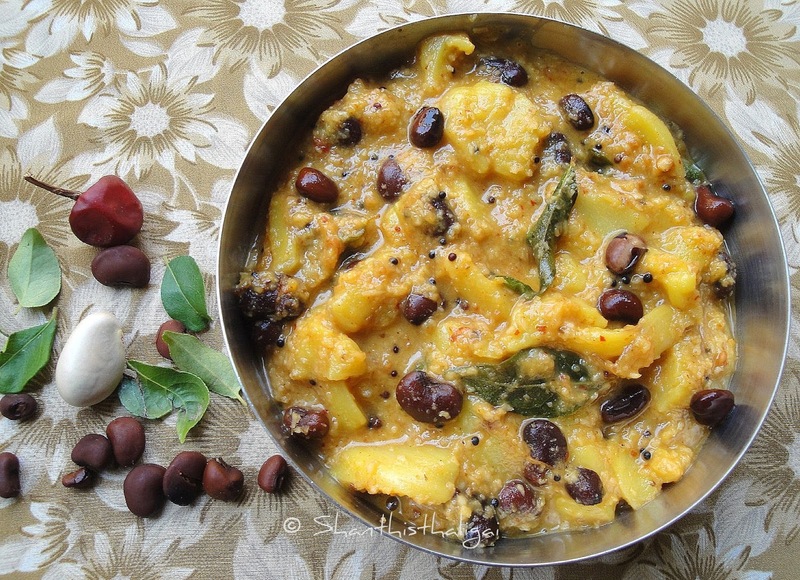 Serve as a side dish for Onam Sadhya.